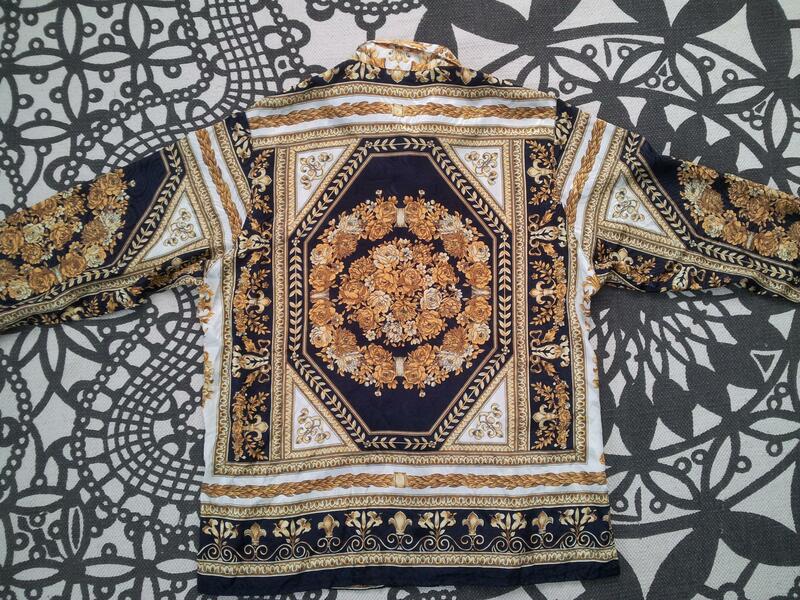 This printed silk shirt is very similar to the pink one I bought last week, and came from the same shop. A gorgeous maroon mini dress with cute button details. A bright neon pink Topshop cardigan. 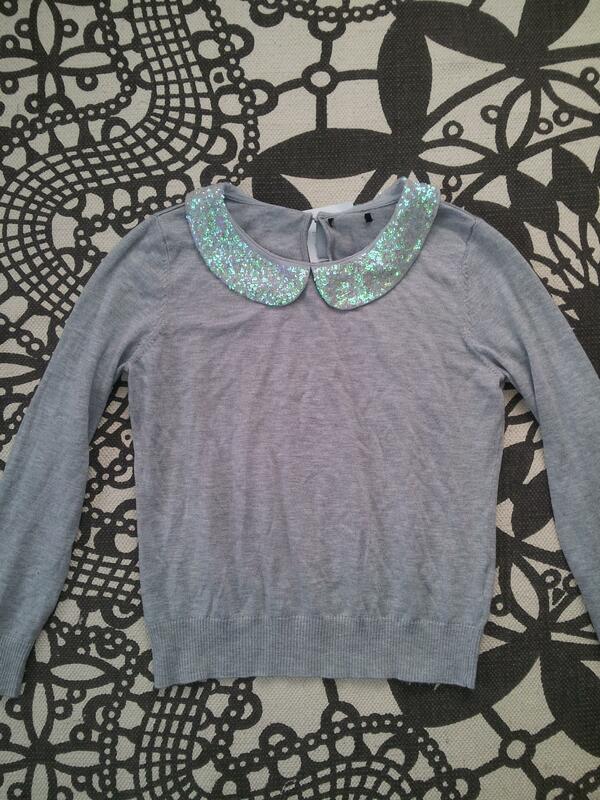 A lovely grey jumper with an iridescent green sequin peter pan collar. 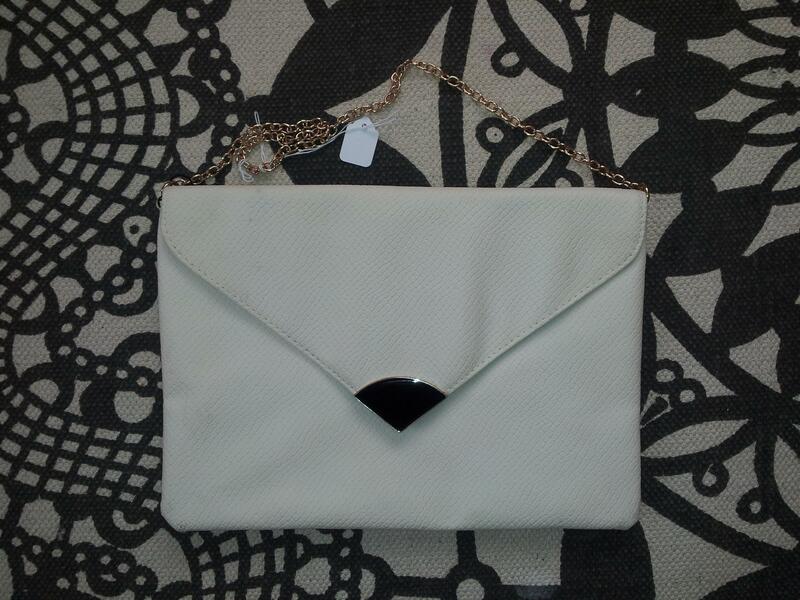 A large white envelope clutch. 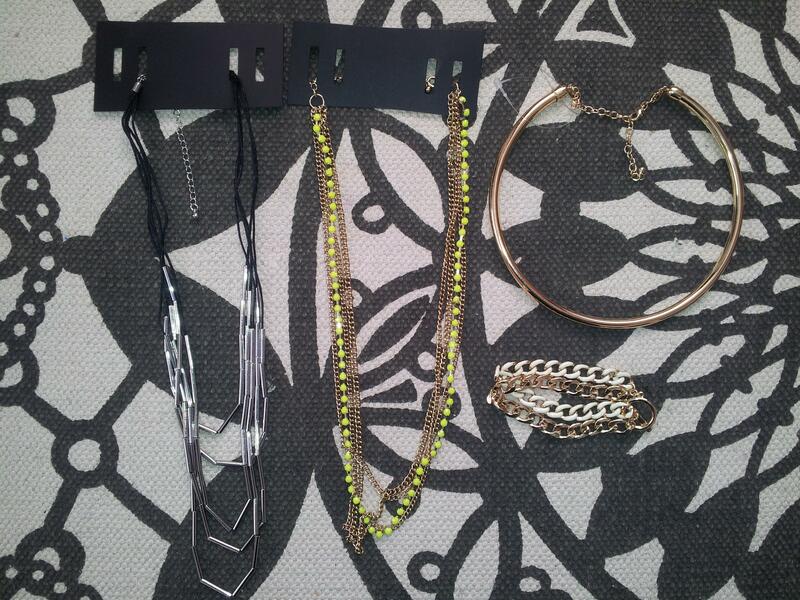 New jewellery, 50p each, what a bargain! 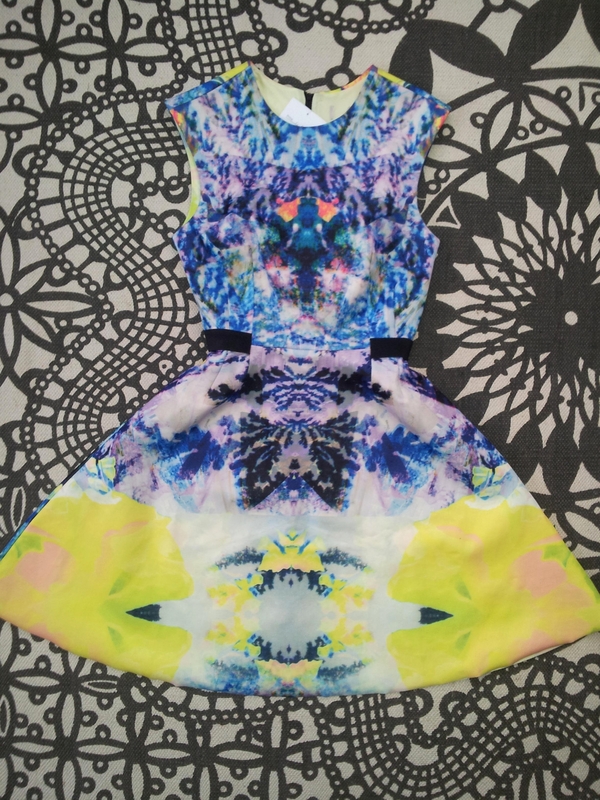 And this most amazing digital print dress! 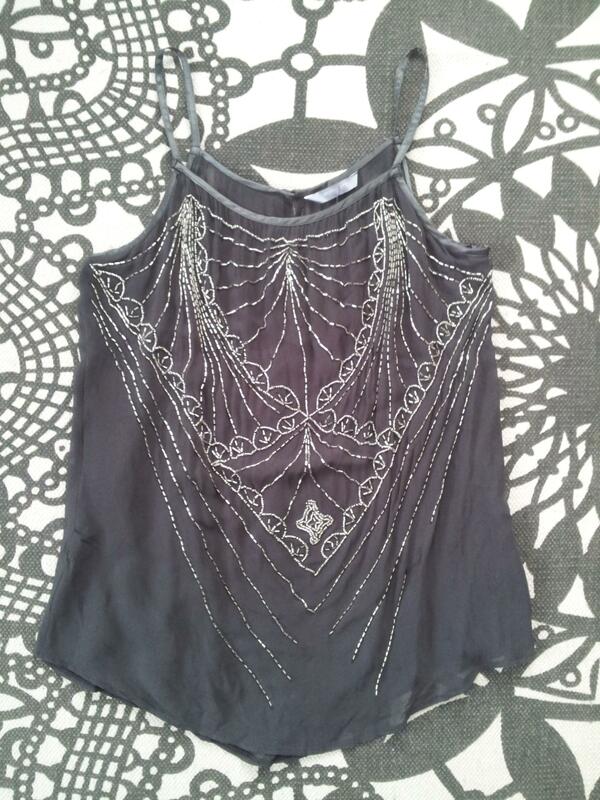 It’s an H&M Trend dress from last year, it’s absolutely gorgeous and it’s all mine!!! Next Post NOTD – More is More. The first piece, the with clutch and that trendy dress are just… OMG! LOVE THEM!!! 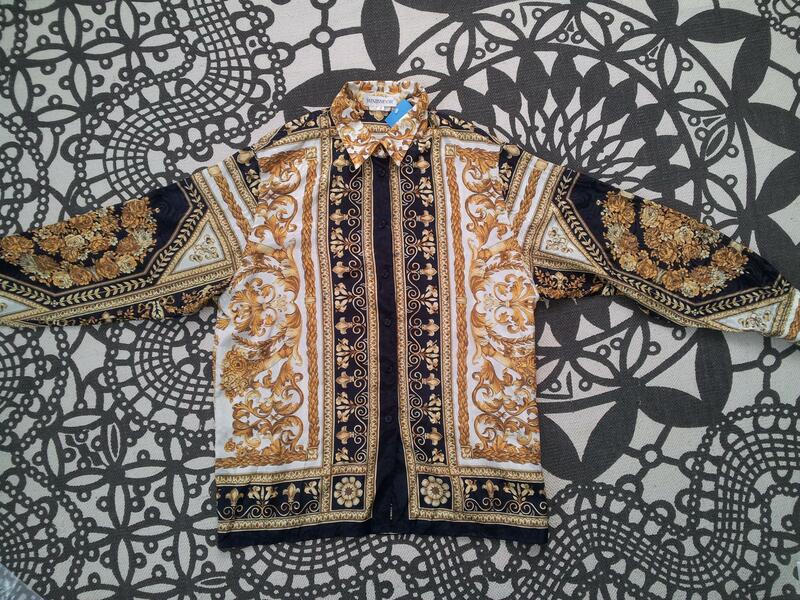 You’ve definitely made me want to trawl my local charity shops but I imagine there’s no hidden treasures!